Achieve incredible results on age spots with our brightening serum. Featuring an active ingredient with liquorice that has a depigmenting effect on age spots, this serum helps reduce skin spots after just three weeks ! 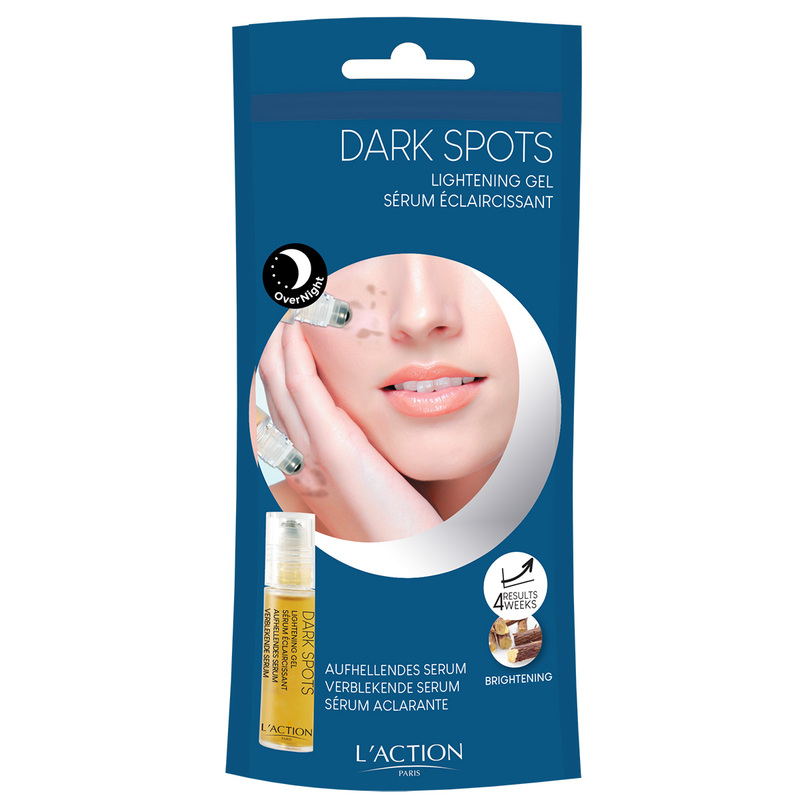 This serum has been dermatologically tested and offers proven visible results after a minimum of 3 weeks of use, with maximum results achieved after 12 weeks. AQUA (WATER), GLYCYRRHIZA GLABRA (LICORICE) ROOT EXTRACT, PROPYLENE GLYCOL, ASPERGILLUS FERMENT, POLYSORBATE 20, PVM/MA DECADIENE CROSSPOLYMER, ETHOXYDIGLYCOL, PHENOXYETHANOL, SODIUM HYDROXIDE, DISODIUM EDTA, PARFUM (FRAGRANCE), SODIUM METABISULFITE, SODIUM SULFITE, POTASSIUM SORBATE, SORBIC ACID, HEXYL CINNAMAL, BENZYL BENZOATE, BENZYL SALICYLATE, LINALOOL, CITRONELLOL, HYDROXYCITRONELLAL, BUTYLPHENYL METHYLPROPIONAL, HYDROXYISOHEXYL 3-CYCLOHEXENE CARBOXALDEHYDE. Massage into the targeted area for 30 seconds using the roll-on tip. Repeat on dry, clean skin in the evening before bed for a minimum of 3 weeks. Avoid contact with eyes. Keep away from children. *Dermatologically tested.